Brian is a soil scientist/ecologist. He was awarded his PhD in Soil Science from the University of Reading (UK) in 1992 and since that time has developed a research program in the area of plant:soil interactions. 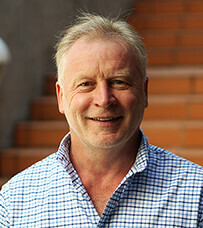 Brian was a Senior Lecturer at University of Hertfordshire (UK) and then Senior Research Scientist with NSW State Government before joining UNE in 2010 in a position co-funded by the NSW Office of Environment and Heritage. Recent research has focused particularly on soil carbon dynamics, storage and distribution; carbon storage in soil and vegetation systems across NSW; the effects of land-use change on soil carbon and soil health; soil condition indicators and monitoring techniques. 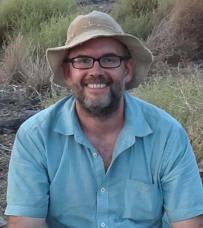 Brian currently supervises a range of post-graduate students investigating soil carbon dynamics, distribution and modeling; the estimation and prediction of soil and biomass carbon through remote imagery and modelling, and the carbon storage potential of native vegetation systems. Inquiries from potential post-graduate students are always welcome. 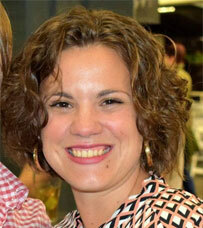 Phoebe is a UNE Post-doctoral research fellow. She graduated her PhD from UNE in 2012, having completed both her undergraduate and postgraduate degrees all at UNE, predominately focusing on environmental science. Her PhD (titled “The spatial influence of scattered paddock trees on soil and pasture attributes”), combined examining the value of these natural resources across the landscape with investigations utilising a number of remote sensing technologies. During this postgraduate time she also worked on many projects, including the Office of Environment & Heritage Monitoring, Evaluation and Research Program (MER), the Soil Carbon Research Program (SCaRP), and DAFF/UNE funded fireweed control research program. 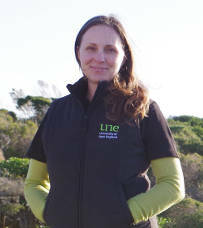 Upon completing her PhD in 2012, Phoebe was employed by the NSW National Parks, firstly as technical officer for the NSW State-wide Enhanced Bushfire Management Program, and then later as that programs coordinator. Between these positions she was also the NSW State Policy and Planning coordinator for the National Parks Fire and Incident Management Section (FIMS). Dr Debarati Bhaduri is working at ICAR-National Rice Research Institute, Cuttack (India). She did her PhD in Soil Science & Agricultural Chemistry from Indian Agricultural Research Institute (IARI), New Delhi (India) in 2010 and joined prestigious Agricultural Research Service (ARS) in Indian Council of Agricultural Research (ICAR). 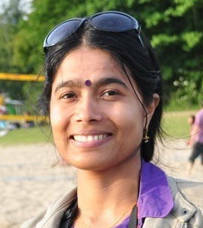 She has published good numbers of research papers in reputed journals, along with book chapters and review papers. Her area of work is mainly focussed on soil quality, soil microbial interactions, soil carbon and nutrient dynamics. She is a recipient of university Gold Medal for her bachelor’s degree and national fellowships for carrying postgraduate degrees. She has also reviewed many research papers from internationally reputed journals. 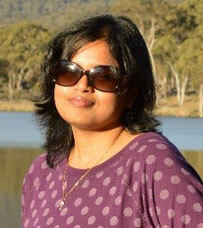 Dr Debarati Bhaduri (Scientist, Indian Council of Agricultural Research) is carrying out her short-term post-doctoral research programme at UNE, Armidale from September, 2016 onwards under supervision of Dr Brian Wilson. She is a recipient of prestigious Endeavour Research Fellowship awarded by Department of Education & Training, Australian Government. Rubeca Fancy is a PhD student. She completed her BSc in Agriculture (Honours) and MS degree (Agricultural Chemistry) at Bangladesh Agricultural University, Bangladesh. She was awarded a “VLIR-UOS Scholarship” funded by the Belgian Government and completed MS degree (Soil Science) from Ghent University, Belgium. Currently Rubeca conducting research on soil organic carbon storage and distribution in different land-uses of New South Wales, Australia with A/Prof Brian Wilson and Prof Heiko Daniel. Her doctoral research is supported by the International Postgraduate Research Scholarship (IPRS). Chris is a UNE project officer, part time UNE PhD candidate, and assists with soil science and ecology teaching as well as postgraduate students with thesis writing. She graduated from the University of Queensland with a Bachelor of Science and 1st Class Honours in 2008, then came to UNE to undertake her PhD in 2009. In 2010, Chris seized an opportunity to work with UNE and the CSIRO national soil carbon and research program to provide real world data for soil carbon accounting models. 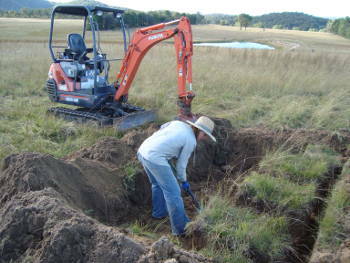 This work was supported by a follow-up project quantifying temporal variability of soil carbon, and now she is working with the CSIRO on soil carbon from avoided regrowth deforestation in relation to the national emissions reduction fund. In the same vein, Chris’ PhD focusses on reforestation of pastoral lands to enhance soil carbon and biodiversity but also farm function. Ivanah is a UNE PhD candidate. She graduated from the University of Melbourne with a Bachelor of Agriculture (Hons) in 2009. 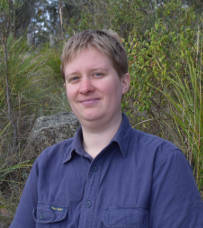 In 2010, Ivanah was employed by the Victorian State Government as a Research Soil Scientist, where she worked on several federally funded (DAFF) projects, including the Soil Carbon Research Program (SCaRP), National Soil Carbon Program (NSCP) and National Agricultural Nitrous Oxide Research Program (NANORP). This research allowed Ivanah to gain skills and experience in: soil surveying, soil description, soil sampling and soil carbon research. 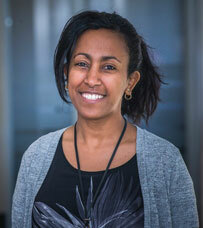 Ivanah’s PhD focuses on the distribution and quantity of root inputs to the soil organic carbon pool. 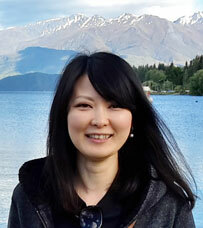 Yui is a post-doctoral fellow. She was awarded her PhD in Plant Science from the University of Tasmania in 2013 where she studied C and N cycling in a native grassland community in the context of climate change. She then joined the Hawkesbury Institute for the Environment at Western Sydney University in 2013 as a postdoctoral fellow. Her research at the Hawkesbury institute investigated the impact of climate change and extreme weather events on cotton productivity, with a particular focus on the role of soil in mediating plant responses through changes in nutrient cycling and soil microbial function. Yui’s research interests are focused on understanding nutrient cycling, soil microbial community and function under environmental changes and their interactions with plant communities. Her aims are to improve our understanding of how environmental factors affect nutrient cycling and plant-soil interactions. Katherine is a UNE PhD candidate. She graduated from Charles Darwin University in 2011 with a Bachelor of Science (Honours, first class) after completing her double degree in science and education at the same institution in 2009. Katherine’s honours project investigated the diversity and contribution of microbial communities to the acceleration of acid rock drainage (ARD) in affected mine sites in the Northern Territory. As an undergraduate student, Katherine worked on a number of projects as a research associate, gaining invaluable experience and knowledge in laboratory managerial duties, molecular techniques applied to microbial, invertebrate and avian organisms, environmental sample collection, aging of sharks and maintenance of laboratory equipment. 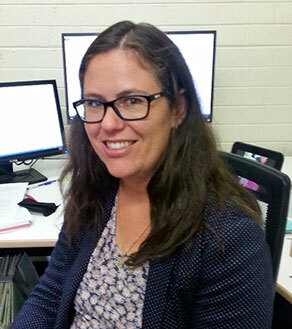 Prior to starting her PhD, Katherine worked as a secondary science teacher in the Northern Territory and New South Wales and is still active in engaging with students through various university and external collaborative roles. Bezaye Tessema is an Environmentalist by profession and has been conducting research on Sustainable Land Management in an integrated watershed management approach at Ethiopian Institute of Agricultural Research (EIAR), where she has been coordinating a project entitled “Going to Scale: Enhancing the Adaptive Management Capacities of Rural Communities for Sustainable Land Management in the Highlands of eastern Africa” funded by the International Development Research Centre (IDRC). She earned her MSc in Environmental Science and BSc in Plant Science. Currently, she is a PhD candidate at the University of New England, with the support from Australia Awards for Africa scholarship (AusAID) whichaims to build a new generation of global leaders with strong links to Australia. Her PhD research project is entitled “Vetiver Grass in Australia and Ethiopia: Soil Organic Carbon Storage for Sustainable Productivity and Carbon Sequestration”. She is interested and passionate to contribute to the research and development efforts towards food security, sustainable development, climate change adaptation and mitigation through networking, partnership, innovation, and through an active participation of community, multidiscipline and stakeholders. Arjan has been working within the spatial information industry for close to 20 years and has held a variety of roles in business, consulting and research. Honours in Geology was received from UNE in the late 1990’s where his topic was Terrane Analysis, studying an accreted seamount on the NSW/Queensland border. This followed an undergraduate degree (Geology) from the Australian National University. In 2015 Arjan started work on a PhD at UNE researching "high-resolution carbon accounting". This research builds on three years of technical work at UNE on soil and biomass carbon accounting on CRCSI- and DAFF-funded research projects including Biomass Business and Deep Soil Carbon. Arjan is a member of the Precision Agriculture Research Group (PARG) at UNE and studies at the new SMARTfarm facility. Brian Wilson and David Lamb are co-supervisors. In his spare time Arjan is Senior Analyst at an Armidale-based GIS Consultancy (EcoGeoSpatial: Spatial Solutions Experts) that has been providing spatial services to domestic and international clients since 2010. Clients include local government and state government agencies as well as private forestry and NRM businesses located around Australia. Arjan previously spent 10+ years as a spatial data manager within a publicly-listed natural resource company (Willmott Forests Limited). Management and business skills complement the technical scientific research skill-set currently being developed. Research interests include climate change impacts, carbon estimation, biomass-energy systems, and spatial solutions for agriculture and NRM. In particular the time is right to apply a suite of new remote sensing datasets and new analytical techniques such as GEOBIA and machine learning, to address old problems concerning natural resources and managed landscapes.